The boss of one of the UK’s leading manufacturers believes industry needs to do more to develop its own pipeline of talent if it is to boost productivity. 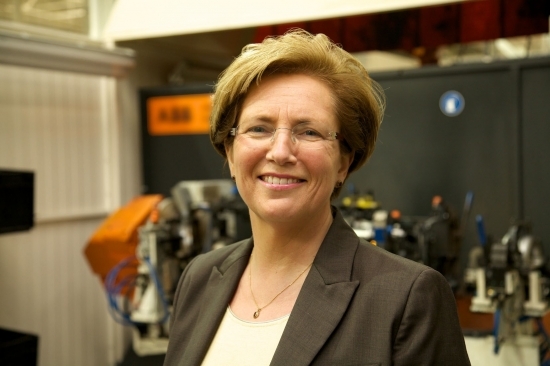 Unipart Manufacturing Group’s Carol Burke is urging firms to follow its lead and find innovative new ways of bridging the skills gap, including getting more graduate engineers coming through the ranks and looking at how they embrace Apprenticeship Degrees. The MD believes dwindling Government funding and lack of a cohesive approach means the impetus must be on business to step forward and she feels that her own company is already benefitting hugely from a proactive approach – typified by its recent success at the EEF Future Manufacturing Awards. Carol, a graduate in Mechanical Engineering and Management, continued: “This saw us come together with Coventry University to create the UK’s first ‘Faculty on the Factory Floor’, a place where young people could study towards a degree whilst applying theory on live Unipart Manufacturing projects. “The activity-lead approach to learning means our students will leave industry-ready and probably one year ahead of their peers taking conventional courses. Many of those will have completed industrial placements in the UK and overseas and our first cohort will be graduating this year. This groundbreaking approach to skills was recognised recently when Unipart Manufacturing was awarded the Education Partnership title for the West Midlands by the EEF Future Manufacturing Awards. Judges praised the way the company had found a productive way of working with academia to develop new courses and the fact it has invested nearly £20m into making AME a reality. They highlighted a strong commitment towards the general promotion of engineering as a career, with the business heavily involved in Imagineering, the Big Bang Fair and TeenTech, a national competition for schools designed to inspire tomorrow’s innovators. It has also trained up a number of its staff to be STEM ambassadors, who take part in visiting local schools, career fairs and putting on experience days, something AME students are now taking an active role in. Carol concluded: “The more people we can get interested in manufacturing is crucial, not just for Unipart but UK industry in general. Unipart Manufacturing Group (UMG), which employs 800 people across three sites in the Midlands, produces exhaust systems, steel and plastic fuel systems, powertrain components for vehicles, heat exchange devices and parts for the rail industry.